The stamps embargo for the February 2016 Royal Mail 500 Years issue has been lifted and we can officially unveil the design of our fantastic stamps and miniature sheet covers. The stamps cover features a stunning ‘Mail Coaches on the Road‘ design and has been produced alongside the Bath Postal Museum. The location of the postal museum is said to be where the Penny Black, the world’s first stamp, was used on 2nd May 1840, four days before its official issue date. As a result the Limited Edition FDC has a special pictorial Mail Coaches postmark, to be dated for 17th February 2016 at Northgate Street, Bath. For this issue the Royal Mail are issuing six stamps; 1st Class Sir Brian Tuke (Henry VIII’s Master of the Posts,’ 1st Class Packet Ship, 1st Class Penfold Pillar Box, £1.52 River Post, £1.52 Medway Mail Centre & £1.52 Mail Coach. 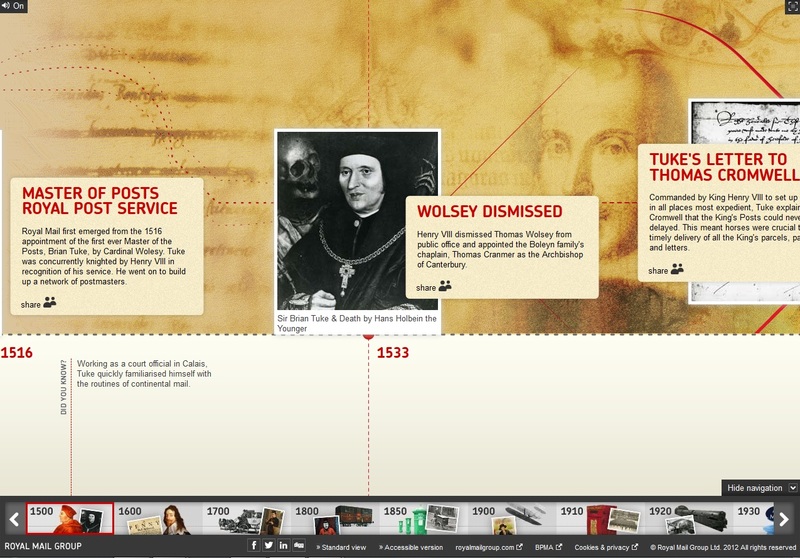 The Royal Mail as it is today is traced back to 1516, introduced by King Henry VIII, you’ve probably heard of him! He introduced Sir Brian Tuke as ‘Master of the Posts’ or Postmaster General as it is more commonly known today. The Royal Mail have also produced a miniature sheet for the issue and have looked back to how the General Post Office (GPO) and its Public Relations Officer Stephen Tallents communicated and advertised to the public. Tallents commissioned the leading graphic designers and set about producing memorable and eye-catching posters to promote services, advertise and display public notices. With this inspiration the miniature sheet features classic GPO Posters. 1st Class Airmail, 1st Class Addressing, £1.33 Parcels & £1.33 Stamp Books. The cover has a special pictorial postmark of the old Post Office Tower, London W1.